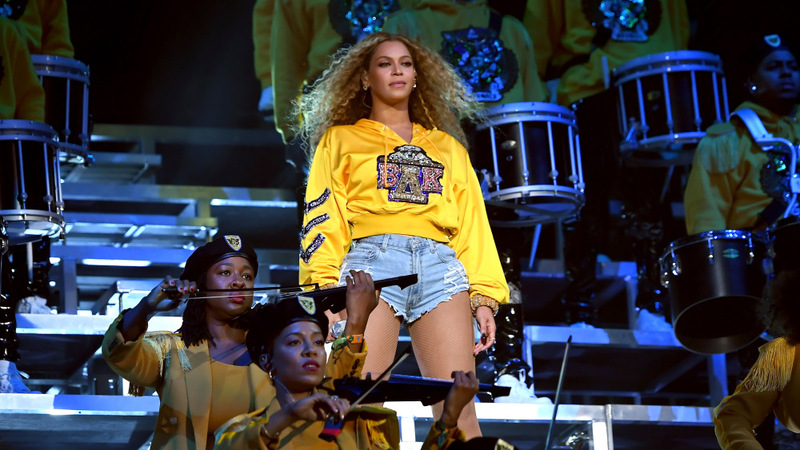 Beyonce opened her long-anticipated Coachella performance on Saturday night singing “Crazy in Love” accompanied by a New Orleans-style brass marching band, and later crooned a rendition of “Lift Every Voice and Sing,” also known as the black national anthem. The ‘Queen Bey’ sang several songs from her album “Lemonade,” backed up by the band and surrounded by step dancers. For nearly two hours, Beyoncé revealed surprise after surprise. A tribute to Nina Simone and quotes from Malcolm X. She also sang “Deja Vu” with her husband, Jay-Z, and danced with her sister, Solange. During the Jamaican-inspired set, Beyonce also sampled Mr Vegas and sang Dawn Penn’s classic hit “You Don’t Love Me (No, No, No)”.